​​Phoenix Suns star shooting guard ​Devin Booker has found himself in a bit of a murky situation. While the 22-year-old has been a stud on the court, his antics off the court may be catching up to him. The latest rumors hold that ​Booker got his high school sweetheart pregnant... and just a few months later impregnated an Instagram model. All this while dating a third woman, Jordyn Woods. These are allegations as opposed to verified reports, but still! Yikes, Book. The Instagram model​​ in question is ​Aaleeyah Petty who boasts 1.4 million followers on the social media platform. 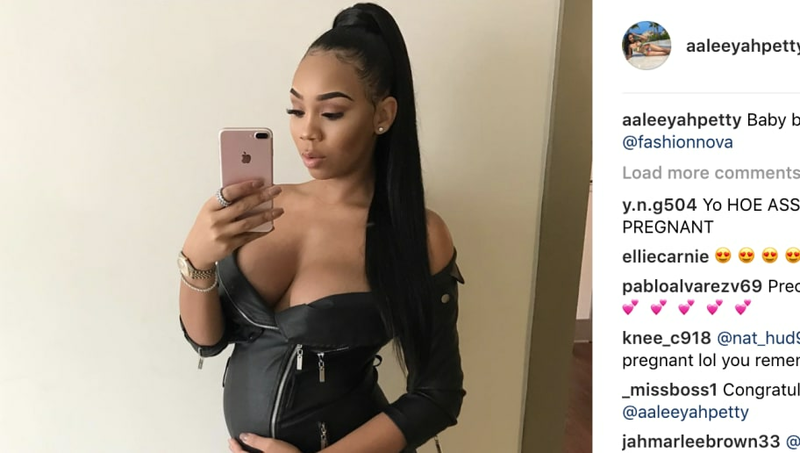 Petty claims that Booker is the father of the child she's carrying, although many believe the baby was a product of her relationship with Justin Combs, a former UCLA defensive back. Booker may be forking over a lot of child support in the near future if he doesn't get this situation figured out. Those close to the situation accuse Petty of trying to trap Booker and earn some easy money off of the superstar. He inked a ​$150 million extension with the Suns, and Petty surely noticed. This situation seems likely to get a lot worse for Booker before it gets better, and hopefully it doesn't throw the 22-year-old off his game to the point that it derails the Suns' rebuild.